Dies R Us: Think Spring! Deanna here with a Spring inspirational post for the Dies R Us blog. Here is what I have for you today. I started with yellow card stock that I cut and folded to make a 4 1/4" X 5 1/2" landscape style card. 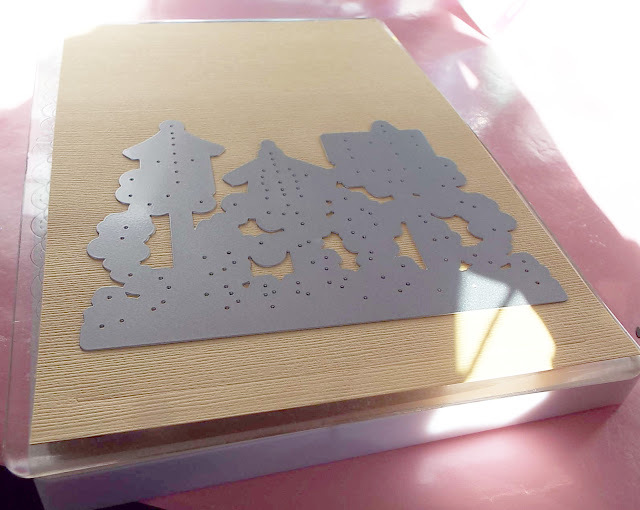 I added a black mat cut at 4" X 5 1/4" and then the patterned paper mat cut at 3 3/4" X 5". I love the little clouds on the patterned paper and thought they went with the whimsy of the bird houses. The birdhouses were cut from the Tutti Designs Birdhouse Garden die. Be sure to use your Tutti Design adapter plate when cutting this die. It makes it so much easier to get a clean cut and to remove the image from the die. I adhered all the layers together and attached the die cut image to the front of my card using some liquid adhesive. To finish the card I added some enamel dots from the Nuvo Crystal Gloss Drops in Dandelion Yellow on the front of the card to add some additional interest. Love those birdhouses, pretty colors too! I just love these birdhouses and your overall design is perfect! Spring can't come soon enough for me ... I'm ready for warm days and sunshine! I like how the die is all one piece; it makes for easy, straight placement on your card. Your colors are so pretty and the addition of those tiny drops really make the card. What a pretty spring card Deanna! I love the row of birdhouses and all that amazing detail. So pretty! such a pretty spring design and I so love the pretty paper you used for the background, the colors go together beautifully! 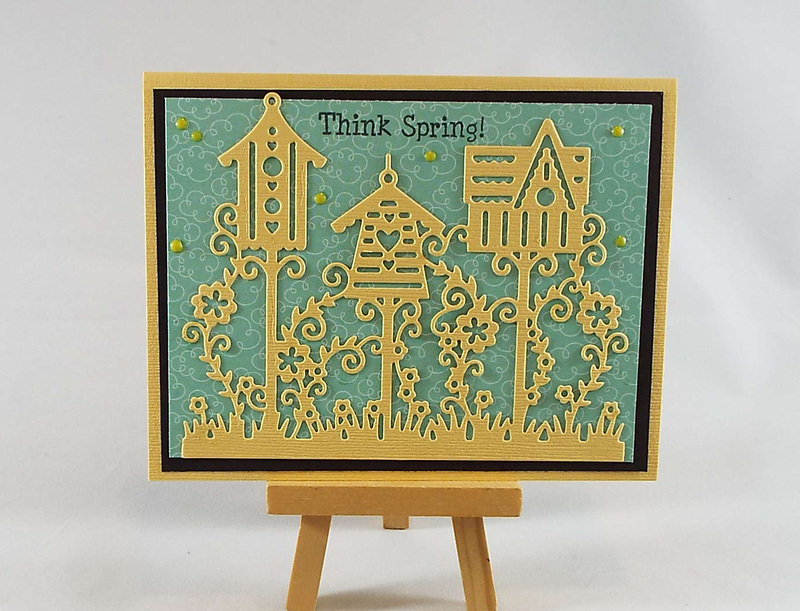 A pretty Spring card, the bird houses have great detail!